And that's a wrap. The Republican presidential candidates are done debating, at least until the caucuses and primaries begin. Who won Thursday night's event in Iowa? Who lost? I have no idea, as I'm neither an Iowan nor a Republican. But here are five semi-informed (and perhaps semi-intelligent) observations on what transpired. 1. Proof that Newt Gingrich is in trouble. Go back and pay attention to Mitt Romney’s answers on Thursday night. He talked about the economy and his experience in the private sector. When pressed about his conservative credentials, he hit the usual talking points but made a point of stressing the importance of bridging partisan divides. These are not the answers of somebody desperate to shore up his support with the base. These are the answers of somebody who’s in the lead, expects to stay in the lead, and is thinking about positioning himself for the general election. On Twitter, ABC’s Jake Tapper noticed the same thing and speculated that Romneys’ internals must look awfully good right now. 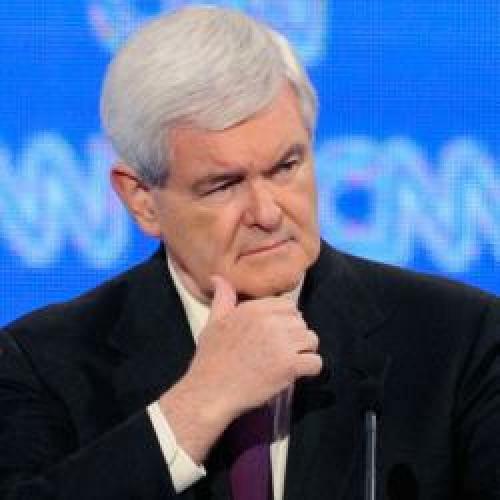 I bet he’s right, although I'm far from discounting Gingrich – or anybody, really. This race is just too unpredictable. 2. Romney's good fortune. It’s amazing that in Iowa, of all places, Romney has not gotten more scrutiny for his change of position on abortion. He’s acknowledged that his views used to be different and I am perfectly willing to believe politicians (like writers!) can have honest changes of heart. But Romney’s story on this just doesn’t pass the smell test. Romney’s former support of abortion rights wasn’t ambiguous: He spoke frequently about a family member who’d died from an illegal abortion and, when challenging Ted Kennedy for the Senate in 1994, vowed “you will not see me wavering on this.” Years later, supposedly, a meeting with scientists about stem-cell research led Romney to have an epiphany – and a conversion to fully pro-life politics. Is it possible Romney’s explanation is truthful? Sure. It is likely? No. Salon has the full accounting of his positions, if you want to judge for yourself. 3. Maybe Rick Perry isn't finished after all. He’s looked confident in the last two debates. He’ll never be a world-class intellectual, but he gives coherent answers now and I am starting to see some charisma. Experience obviously makes a huge difference. If he’d had even a little more exposure to serious media scrutiny previously in his career, he’d likely be in a very strong position now. He’s not, obviously: Those early performances really diminished him, in the eyes of the elite and, apparently, the voters. But he has money and, supposedly, he’s good at the kind of retail politics that make a difference in Iowa. If Newt really is in free fall, could Perry benefit? After the debate, the Fox News panel certainly seemed impressed. And the most reliable authority, Nate Silver, thinks a Romney-Perry race is still possible. 4. The most important politician in last night's debate may have been a Democrat back in Washington. This is why the White House and Democratic leaders are furious at Senator Ron Wyden: Already he’s changing the dynamics of the debate over Medicare, in ways that will make defending the program more difficult. Gingrich and Romney heaped praise on the Medicare plan Wyden crafted with House Budget Chairman Paul Ryan, saying it was proof Ryan’s ideas – and theirs – were not so far out of the mainstream. Of course, Wyden conceded a lot more than Ryan did, backing a plan that really does seem dangerous to Medicare. And that's to say nothing of the original Ryan plan that Romney, at least, spent most of last week hugging as tightly as he could. But Wyden has made it more difficult for Obama to make that case.